Found 16 blog entries for March 2017. Tuesday, March 28th, 2017 at 9:19pm. April is almost upon us, are you finally ready to buy that dream Edmonton home of yours? If yes, you can expect help from Chita Metcalfe of Edmonton Mortgage Source, in financing your home. Friday, March 24th, 2017 at 8:10pm. Can’t find the right Edmonton home you’re looking for? Does it feel like that there aren’t enough options? Well you are not alone my friend. There are many frustrated Edmonton home buyers just like you who feel the same way. 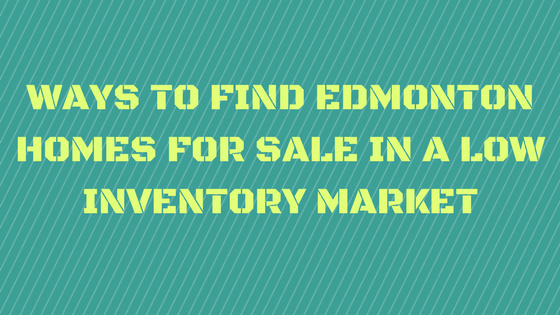 Before you get ready to give up the search, here are some ways to find Edmonton homes for sale in a low inventory market. The first thing you do before you buy an Edmonton house is to determine where you want to live. By doing so you can zone in on the neighborhood you want and start searching, marketing and communicating with someone who is selling their Edmonton property. Tuesday, March 21st, 2017 at 9:27pm. We're fast approaching THE last week of March, now is the time to act! If you decide to finally buy that Edmonton dream home, you can expect help from Chita Metcalfe of Edmonton Mortgage Source, in financing your home. Tuesday, March 21st, 2017 at 8:08pm. A common question from buyers is “what happens next once a seller accepts my offer?” Does this mean that you need to pack up your things and move in to the Edmonton house right away? Can you be certain that it’s going to be smooth sailing from here on out? Is it time to celebrate already? Hold on to your party hats because when a seller accepts your offer this means that your act in the Edmonton home buying play is just moving on to the main plot! 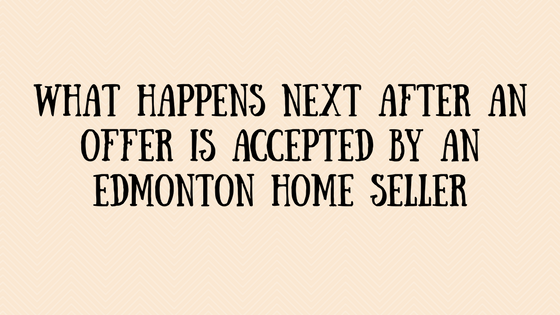 So without further ado, let’s see what happens next after an offer is accepted by an Edmonton home seller. Wednesday, March 15th, 2017 at 7:57pm. Buying or selling an Edmonton property can be a smooth process when you have the right real estate agent working for you. How do you know which real estate agent to contract with? 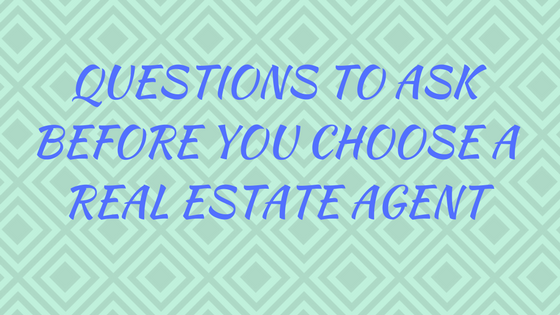 Here are some questions to ask before you choose a real estate agent. Is It Their Full Time Job? The very first question that you should ask a real estate agent is if they work full-time at real estate. If the answer is ‘no’ then you better move to the next option. Would you want someone working for you part time? Make sure to hire an agent who will give you all the effort that you deserve. Tuesday, March 14th, 2017 at 7:12pm. 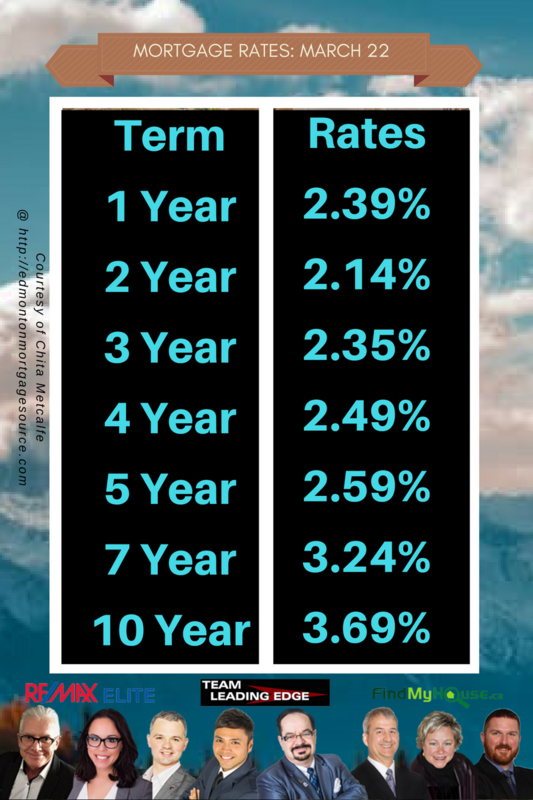 The 5-year term mortgage rate just slid down by -0.05%. From 2.64%, now it's 2.59%. This is a chance for you to finally own that Edmonton property you've been dreaming of for years! Sunday, March 12th, 2017 at 10:16pm. For anyone buying an Edmonton house for the first time, it can be a long and emotional process. You need to be reasonable and logical when it comes to buying an Edmonton house because emotions can take you to places you don’t want to go - to the land of unsound decisions! Thankfully! there are many opportunities available in Edmonton for first time home buyers. 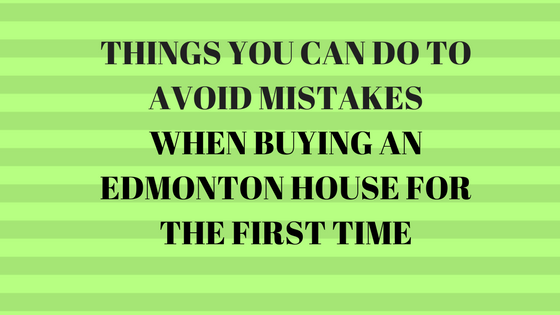 Before you take advantage of all these opportunities, here are some things you can do to avoid mistakes when buying a home in Edmonton for the first time. Sunday, March 12th, 2017 at 10:02am. The prices of Edmonton houses change. You can even change house size and shape. But the one thing you cannot change is the location. Homes in desirable locations are in demand. And with Real Estate, demand is what forces prices to go up. 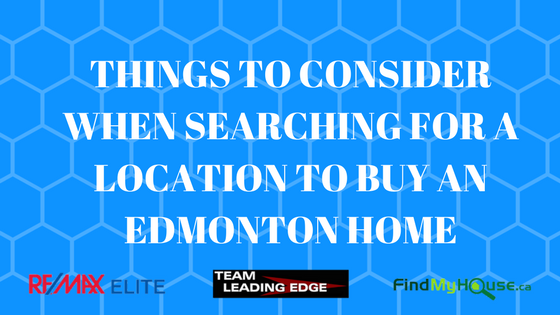 Here are some things to consider when searching for a location to buy an Edmonton home. Saturday, March 11th, 2017 at 7:25am. Come visit Randy and enjoy the refreshments and snacks! 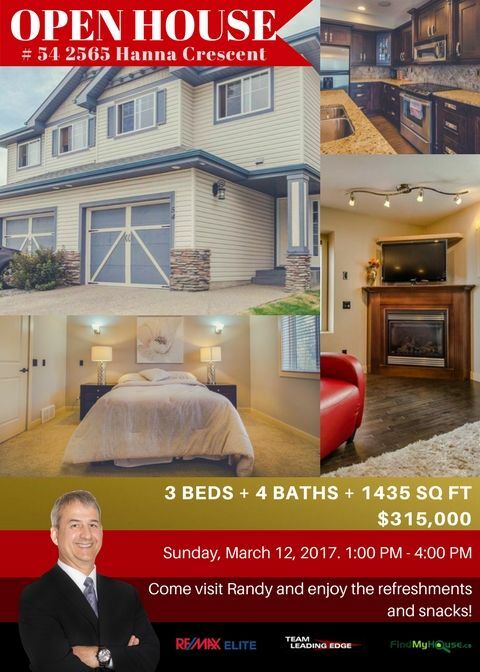 Here's your chance to own this 3 beds, 4 baths home in the beautiful neighborhood of Haddow! Tuesday, March 7th, 2017 at 10:02pm. We're already on the first week of March, are you finally ready to buy that dream Edmonton home of yours? If yes, let our partner Chita Metcalfe of Edmonton Mortgage Source help you finance that purchase.